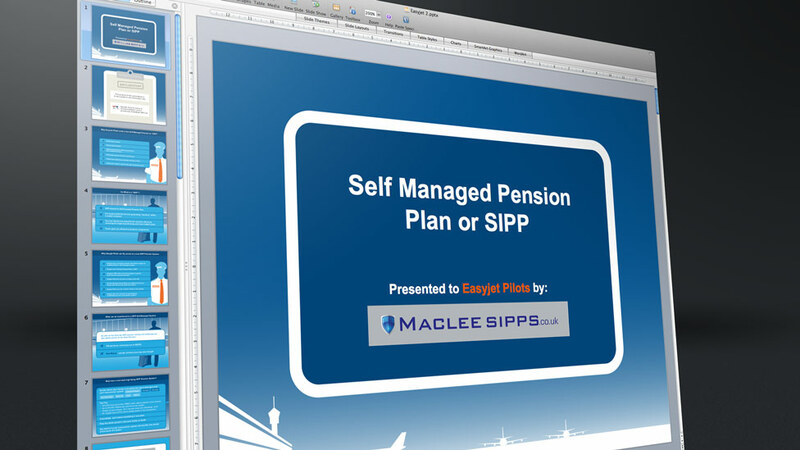 Maclee Sipps commissioned Parker Design to create a PowerPoint design promoting their self-investment pension plans. 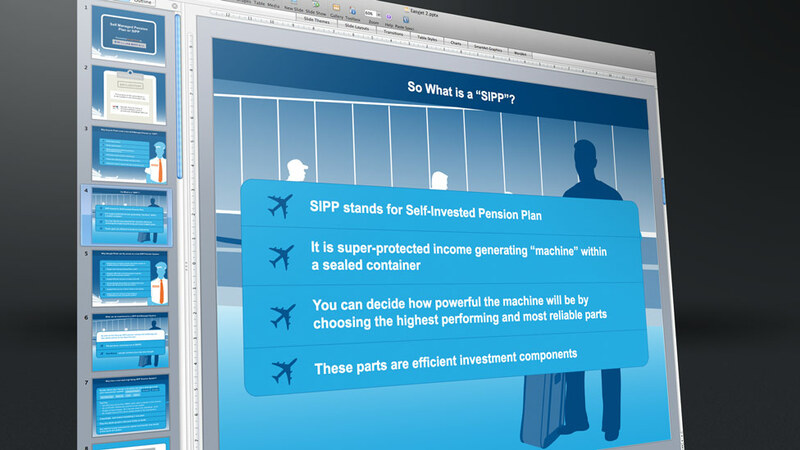 The PowerPoint was to be presented to airline pilots detailing the benefits of having their own high performing self-managed pension scheme. The client required our guidance on structuring the design and due to the technical nature of the content wanted the supporting graphics and animation to be dynamic and impactful. We created a set of illustrations themed around airline pilots and airport environments and branded these using the Maclee Sipps colour palette. 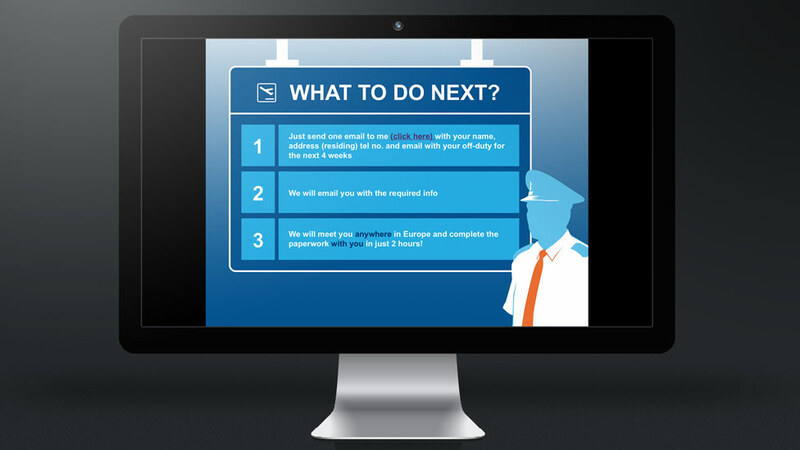 The client returned from the presentation delighted with the reaction the PowerPoint design had with the audience.